The REBSEA newsletter is designed to share information that we think will be of interest to REBSEA members and supporters. The 2013 Newsletter contains several articles about the important developments taking place today in the field of social enterprise. Many of these were a great learning experience for us during the research and development phase prior to launching REBSEA as an organization. We are sure that you will be surprised as well at the number of important changes currently taking place that will absolutely alter the way we think about how social change takes place. If this sounds like an exaggeration please read all of the articles in the 2013 edition and see if this does not change your perspective. Social enterprise is indeed the 'next big thing' and it is beginning to have real positive impact in our communities. The 2014 edition contains a continuation of this process of learning about social enterprise. It contains an article about Benefit Corporations, which might just be the future of nonprofits as they attempt to adapt to the changes taking place in our culture. 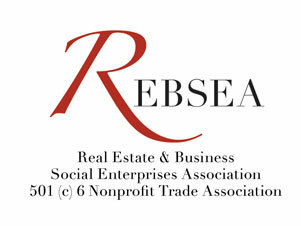 There are updates on the continuing growth of the REBSEA program as our members and experience help to shape our organization and our mission. We have asked our members and supporters to contribute articles about some of the causes and organizations that they are passionate about helping and how they feel about being a part of the REBSEA program. Two areas that have deep involvement by many REBSEA members are 1)animal welfare and animal rights organizations, and 2) veterans issues and organizations that help. These two areas have one thing in common: both are victims of neglect and the shameless way our society handles its responsibility. There are also several articles about various organizations with important and worthwhile missions that our members would like to bring to the attention of our readers. In future issues we intend to move in the direction of focusing our members' attention on specific causes where we as an organization can have a collective impact.